Clan Medals - These medals are available to all members regardless of division. Listed below are also the Star Fleet Medals, and the Jedi Medals. Marine Division - Awarded when accepted into a Marine Platoon. Klingon Division - Awarded when accepted into the Klingon Division. Aviator Wings - Awarded for obtaining expert status in flying the Wraith/Scout. Jump Wings - Awarded for obtaining expert in Dropship tatics. Grudge Match Ribbon. For challenging a non-clan member in a 1v1 grudge match and winning. Tournament Ribbon. For winning a scheduled Tournament Match. Ribbon of Firepower. For demonstrating proficiency in using multiple weapon systems in combination. Tank Commander's Ribbon. For demonstrating strategic use of Tanks against overwhelming hostile forces. Ribbon of High Valor - Awarded for High Levels of Valor in Combat. This ribbon is awarded to anyone that has contributed to the design or development of the web page. Gold Ribbon - Awarded for successfully finishing training for all 3 races. The 100 Win Ribbon - awarded for 100 wins. Ribbon of Merit - For Valor and/or Service in Battle. 300 Win Ribbon - Awarded for 300 + Wins. Recruiting Ribbon - Awarded for Recruiting One Player. Recruited player must remain active for four weeks for member to be awarded this ribbon. Awarded for overcoming extreme hostile forces with the use and proficiency of Battle Cruisers. Awarded for Valor in Battle. Awarded for use of trained zerg against enemy forces. Awarded for effective command and control of Marines in an engagement against hostile enemy forces. Awarded for being the Overall Champion during a scheduled Tournament. For extreme sacrifice made for another clan member that cost you a loss. Awarded for providing the clan with leadership, encouragement, integrity, dedication, and commitment. Given for allying CMSF with another clan. Awarded by CMSF Command to members who have demonstrated the highest levels of commitment and dedication. Awarded for rescuing a team mate with extreme valor and great risk to own troops. This medal is awarded to anyone that has contributed exceptionally to the clan. It is the highest award possible and only available to a few. 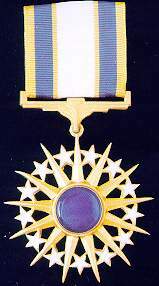 Awarded for leading a successful Squadron. Awarded for up keeping the Clan and Division laws faithfully without question. Awarded for the highest amount of aid in the construction and updating of the website.